Tenerife is a true gem set in the Atlantic Ocean and an ideal destination for a holiday offering sea, sun, nature and traditions. 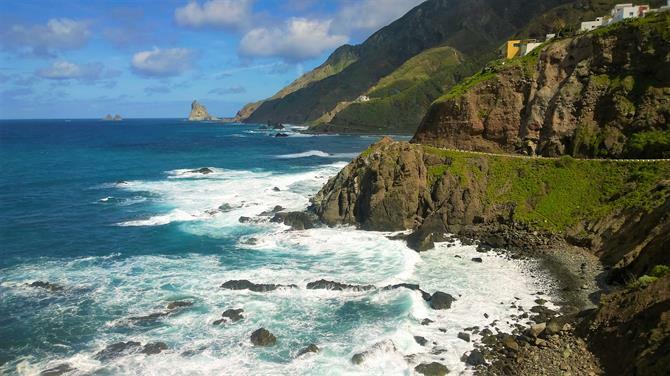 The islands' exquisite gastronomy, landscapes worthy enough to be movie sets, tropical-style, palm-fringed beaches and crystal clear waters attract millions of visitors to Tenerife all year around. 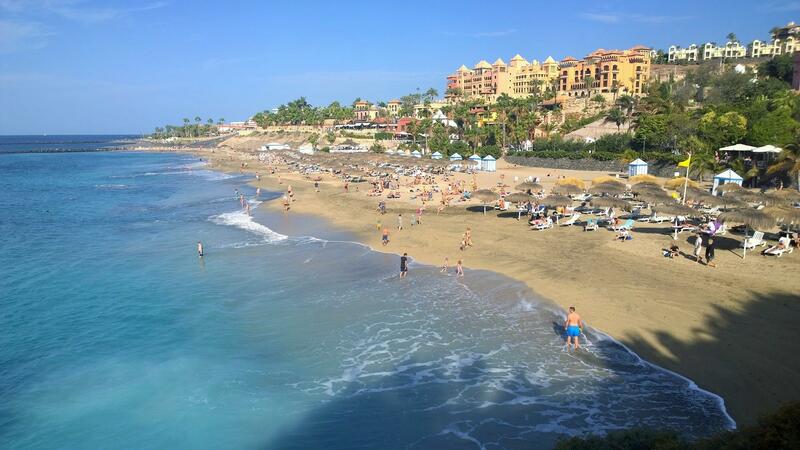 We have curated a list of best places to stay for a memorable holiday in Tenerife. Whether you are planning a lazy beach break avoiding a dynamic routine or big thrills and rushes of adrenaline, Tenerife is the place to be. Tenerife is most famous for its picturesque beaches. Long stretches of silky sand and pristine waters, combined with temperatures barely falling below 18 degrees in the daytime, make Tenerife one of the most attractive beach holiday destinations in Europe. Tenerife's long, white sandy beaches are amazing, but we encourage to visit one of its beautiful black sand beaches, which are reminders of Tenerife's volcanic history. The sea-centric south of the island is the best place for a beach holiday in Tenerife. On the sunnier side of the island, you are spoilt for choice for places to stay in the south of Tenerife within an easy walking distance from the beach. 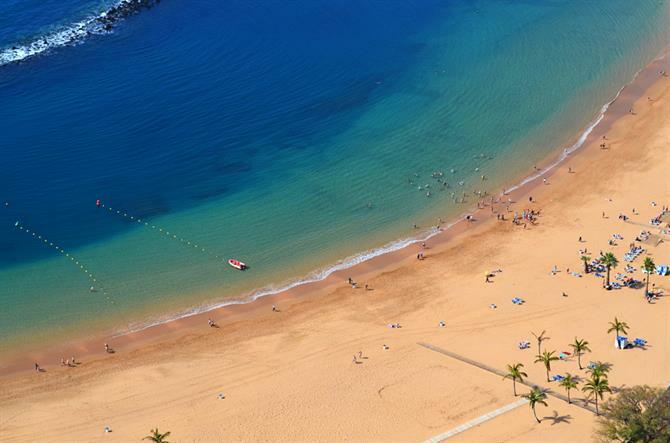 The southern resorts of Los Cristianos, Playa de las Americas and Costa Adeje tempt beach seekers who appreciate the availability of different services and facilities, such as restaurants, bars, showers and watersports activities. The charming beach town of El Médano in the southeast is a surfers paradise in Tenerife and is known for its shallow beaches and its picture-perfect location. Also, the lush green north of the island offers some stunning beach gems such as Las Teresitas in Santa Cruz and Playa Jardin in Puerto de la Cruz. Tenerife is home to some of the best clubbing scenes in Spain, attracting partygoers from all over Europe. 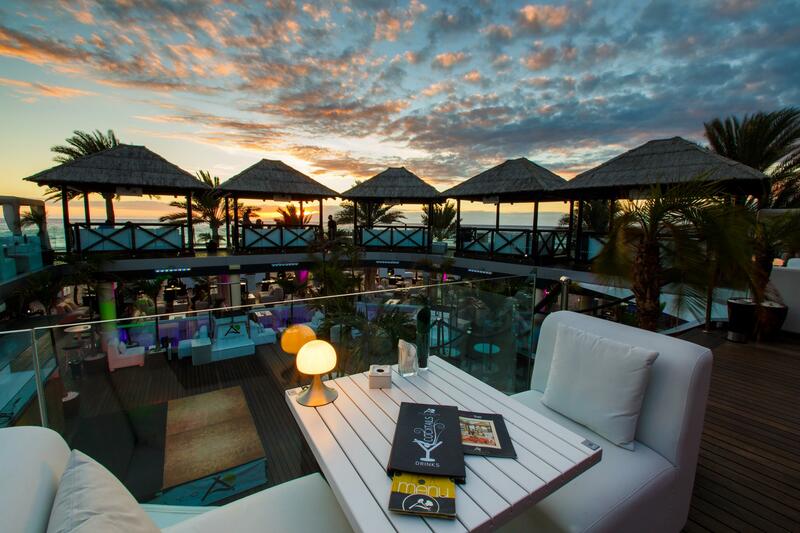 Long nights of clubbing until the wee hours are complimented with laid-back days lounging at the best beaches of Tenerife under the sizzling Canarian sun. 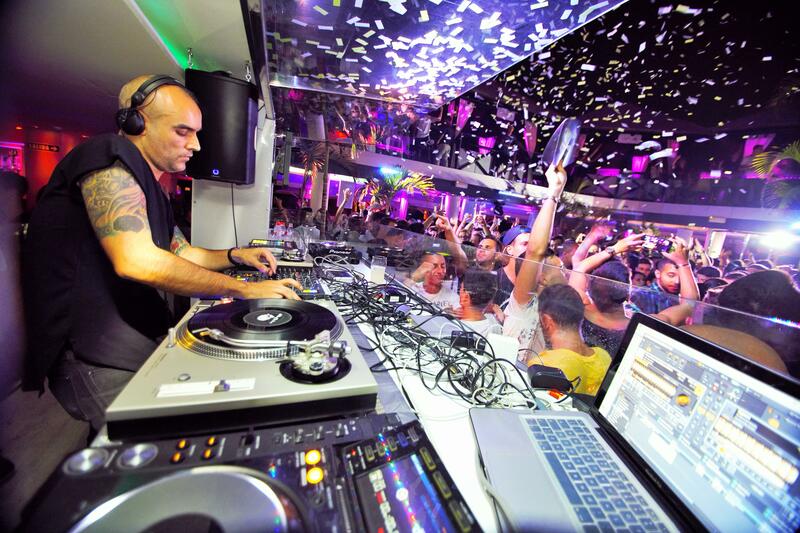 Those looking for the definitive clubbing holiday in Tenerife's heart of the action should stay in Playa de Las Americas, which is home to one of the busiest clubbing street on the island and is a strong favourite of young people. Those not so keen on Las Americas's wild and noisy atmosphere may prefer to stay in Costa Adeje or Los Cristianos, where the party street of San Telmo has dozens of bars and clubs facing the sea that caters to all tastes and ages. The north side of the island may not reach the level of the south, but there are a plethora of bars and clubs in Tenerife´s capital Santa Cruz and in the university city of La Laguna. If you want to avoid the clubbers and keep your kids amused, head to the quieter areas of Los Gigantes, Playa de la Arena or Puerto Santiago on the west coast of the island. Beaches here might not reach Las Americas's level, but you´ll be able to enjoy a hassle-free family holiday enjoying the relaxed atmosphere, a variety of activities and a great selection of restaurants in Los Gigantes. When staying in Los Gigantes, remember to pay a visit to the charming mountain town of Santiago de Teide. With a laid-back trendy ambience, but also touristy, Costa Adeje is one of the best place to stay in Tenerife for families. The two waterparks on the island are located here: Aqualand and Tenerife´s famous Siam Park, which has been rated as the best waterpark in the world. The northern holiday resort of Puerto de la Cruz also attracts families, who appreciate the tranquil atmosphere and the wide range of activities the city has to offer. Families staying in Puerto de la Cruz should pay a visit to the number one attraction of the region, Loro Parque. The beautiful rural areas on the island offer a different way to spend a holiday in Tenerife, far from the crowds they are ideal for couples, friends and families. If you are looking to indulge your passion for hiking, cycling or horse riding, the lush and greener northern part of the island is the perfect place to stay. 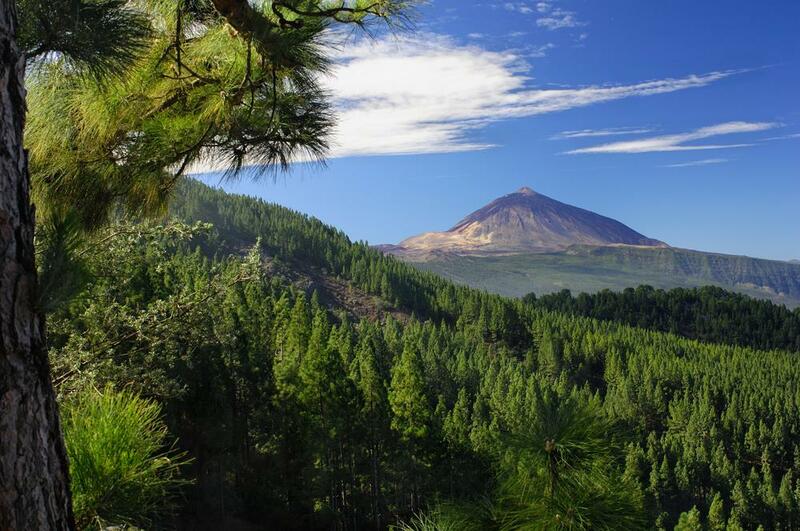 The magnificent peak of Mount Teide and its natural areas are located right in the heart of the island. The easiest way to get there is from Puerto de la Cruz or La Laguna. Also, Tenerife is considered as one of the world's best road cycling destinations and there are countless different hiking routes all over the island. Tenerife is the perfect destination for adventurous adrenaline seekers. If you really want to get far away from the buzzing tourist crowds, look for accommodation in the quaint little village of Vilaflor, or in the breathtaking landscapes of the beautiful mountain village of Masca. 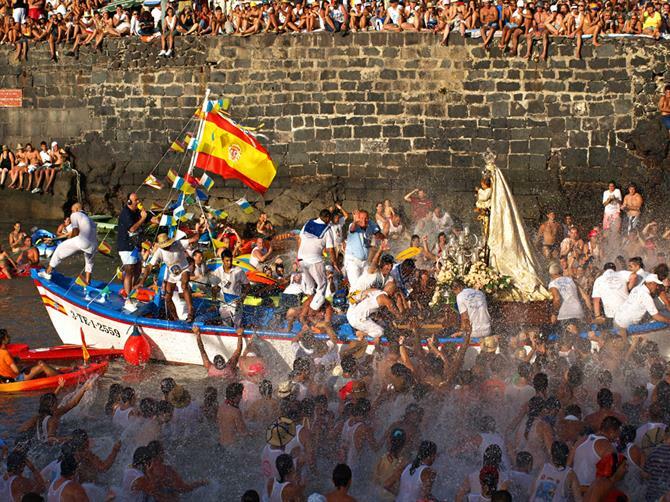 The tinerfeños (local people) are extremely proud of their island and its unique identity. If you are pledging to discover and understand the local culture of the island, you need to leave behind the main tourist areas. The northern part of the island is full of villages and cities where traditions and cultural events such as pilgrimages and village festivals have lasted for centuries. If you want to get a greater insight into the island's culture, look for accommodation in the north of Tenerife. 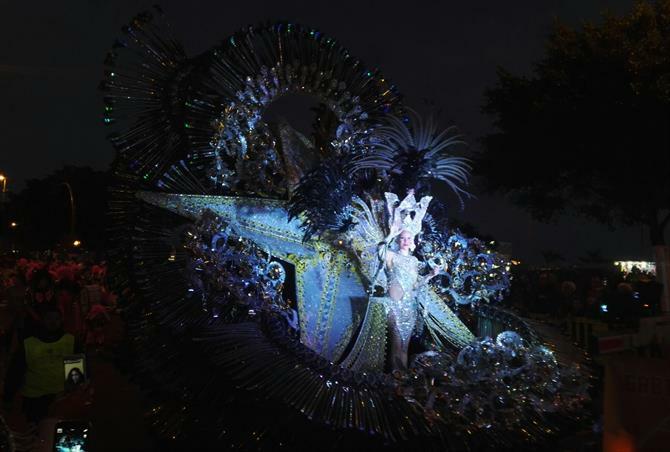 The capital Santa Cruz is a good home-base to explore the island and Tenerife's famous carnivals take place here during February and March. Staying in Santa Cruz, you will be a short drive away from Teide natural park, the charming university city and the old capital of Tenerife, La Laguna. For those wanting to stay in a quieter place by the sea should head to the charming town of Garachico, where you´ll be able to swim in natural pools and savour the best Canarian cuisine in an ideal setting.